The project involves replacing and upgrading Cambridgeshire’s 55,000 street lights. A five-year Core Investment Programme, allowing for the replacement of 28,000 existing columns and signs and 5,000 lanterns, and the ongoing maintenance of a total stock of 38,154 units. A project to remove, replace and/or upgrade every one of Northamptonshire’s 65,000 street lights. During the Core Investment Programme 20,600 lighting columns were replaced together with 8,000 highways signs, bollards and subway lights. 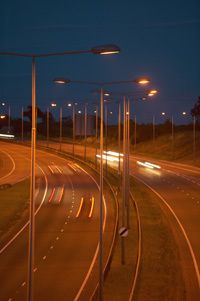 The Core Investment Programme involved replacement of 30,500 street lighting columns and 6,000 highways signs.